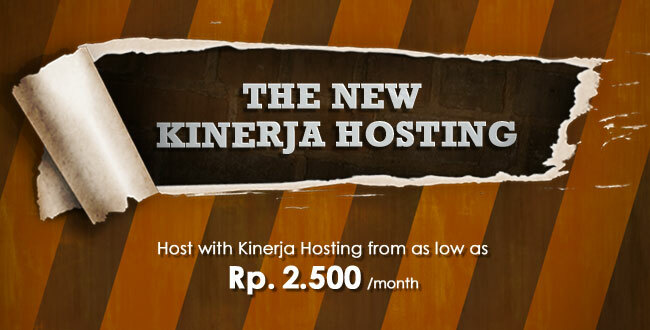 Kinerja Hosting is a product of Kinerja Technology, which is a subsidiary of Kinerja Indonesia Company that operates on IT Business Planning and Development. With this product, we offer both national and international domain registration service. We also offer WEB Hosting packages with competitive price and quality. For more information about the offered services, please go to Domain Page for Domain Registration and Hosting Page for WEB Hosting Packages. Register your domain now: www. Kinerja Hosting offers Domain Registration services in competitive prices. For Local Domain Registration (.id), registrant must enclose certain documents according to PANDI regulation. Kinerja Hosting offers free and low cost Hosting Package with unlimited bandwidth and other competitive features. Hosting package including cPanel, and auto-installer, Softaculous. Kinerja Hosting offers Dedicated and Colocation Server Package with competitive features and prices. Cloud computing is the use of computing resources (hardware and software) that are delivered as a service over a network (typically the Internet). This technology has become the most popular in the server and hosting world. Kinerja Hosting as one of many popular Web Services provider provides Cloud Computing known as Kinerja Cloud. Kinerja Cloud is made up of one or more nodes. Each node provides 1 CPU Core, 1GB RAM, 10GB SAN and 1GB/hour data transfer at an affordable price. Kinerja Cloud provides daily backup as well with the same SAN space as the purchased node. Suitable for those who wants private email server, company application server or as data backup server.